FOR IMMEDIATE RELEASE: Do you know that the sunshine that falls on Texas in a month contains more energy than all of the oil that has ever been pumped in the state can generate. 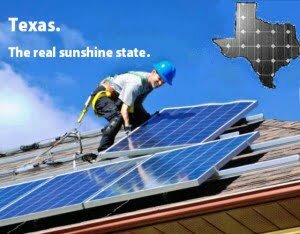 Texas is the state that has the largest solar potential in the country, yet it only ranked tenth nationwide in terms of installed solar power generation capacity, enough solar energy installed to power 11,900 homes. According to U.S. Energy Information Administration Residential Energy Consumption Survey, the average annual household electricity cost in Texas is close to $2,000, one of the highest in the nation; and water heating is the third highest energy expense. The government is on the move to maximize the usage of the solar potential in Texas with solar incentive programs to support solar energy.